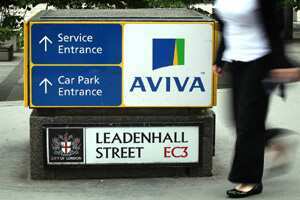 Dublin: British insurer Aviva will cut up to 950 jobs at its Irish operations ending the country’s role as its European headquarters and delivering the biggest jobs blow to the struggling Irish economy in two years. “This is a very stark reminder of what the government has to do in facing the competitiveness challenge," Prime Minister Enda Kenny told parliament after the cuts were unveiled on Wednesday. “This is an awful day for employees at Aviva." The cuts will take place as part of a restructuring of Aviva over two years, the company said in a statement. The Unite trade union said Aviva had told staff its European activities in Dublin had been closed with the loss of 180 jobs. Staff was informed at a series of meetings on Wednesday morning. The company erected large screens so waiting media could not see into its glass offices. “We’ve got a mortgage to pay. We’ve got young kids and we’re both going to be out of work," said one employee of 11 years, who was crying as he spoke. His wife, who has worked for the company for over eight years, shook as she tried to light a cigarette beside him. “The axe has fallen harder and sharper than the worst fears of staff," said Brian Gallagher, an officer with the Unite trade union, which represents 1,300 staff at Aviva. “They are stunned and scared by what they have been told." Ireland has been struggling with an unemployment rate that has surged to over 14 percent compared to 4.6 percent in 2007 when a property bubble burst and the economy was subsequently brought to its knees. A senior IMF official last week said Ireland was making progress under its €85 billion IMF/EU bailout, but could not “pop the champagne" until its unemployment rate falls. The Aviva announcement was the largest announcement of job cuts by a single company in Ireland since 2009, when leading PC maker Dell cut 1,900 jobs to move its manufacturing base to Poland. Aviva has invested significantly in the Irish market in recent years, including a sponsorship deal to put its name to one of the country’s largest stadiums. Aviva said Ireland will continue to be one of its 12 priority markets. The company’s Irish office will be folded into the company’s British division. Investment Bank JP Morgan said the restructuring was a “positive move" that could deliver pre-tax cost savings of up to €70 million for Aviva in 2012. The cost ratio of Aviva’s non-life insurance business in Ireland was 19% in the first six months of 2011, compared to 10.5% in the United Kingdom, the bank said in a note.